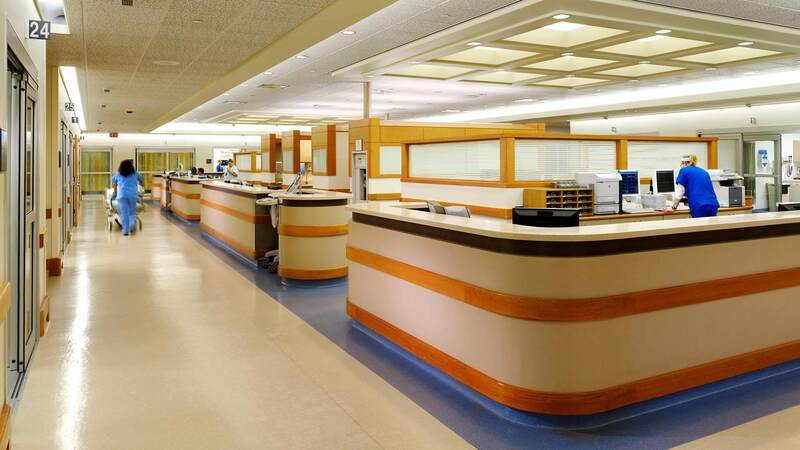 The Glenbrook Hospital Emergency Department had insufficient treatment bays, poor circulation patterns, a lack of privacy for patients/physicians, and an inability to handle large inflows of patients during a catastrophic event. 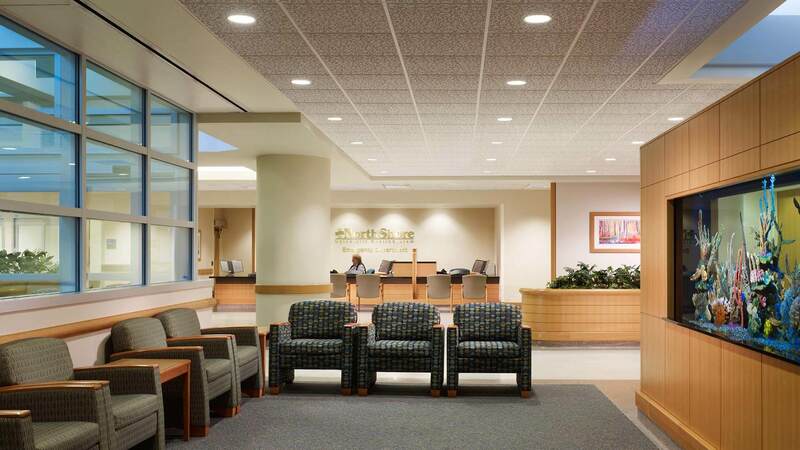 ESA’s design solution involved a complete phased reconstruction of the department in its existing location, including a 20,000 SF new addition that now feeds into a fast-track clinical area. The improvements include thirty treatment rooms, a large and open nursing/physician core, enclosed ambulance bay holding, a dedicated fast track unit, and triage bays located next to waiting, reception, staff lockers, and conference areas. The new department is designed to accommodate 45,000 annual patients while anticipating volume fluctuations without overstaffing.